- Current visa and previous visas (if applicable). www.det.act.gov.au or by by clicking here (Parent/carer guide to enrolment/transfer for ACT public schools). Visit the Directorate's PPA information page. Children from outside the PPA may be enrolled at Charnwood-Dunlop School subject to vacancies. 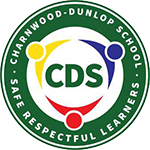 Charnwood-Dunlop Preschool is located next to the Primary School and is accessed via Grono Place in Charnwood. The Preschool is within easy walking distance of the K-6 primary building. Both the 3 Year Old and the 4 Year Old Preschool Programs are staffed by Charnwood-Dunlop School staff who are Early Childhood professionals. Children turning 4 years of age before 30 April are eligible for the 4 Year Old program Preschool. Once a child is enrolled at our Preschool, the enrolment is continuous through to Year 6. In addition, if your child is a temporary visa holder you will also need to contact the International Education Unit and submit all required documentation. You may be required to pay international student tuition fees for your child. Further information is available from the School Education section of the Directorate website. Children turning 5 before 30 April are enrolled in Kindergarten. Kindergarten children attend school during the normal school hours of 9.00 am - 3.00 pm. Children in our preschool transition to our Kindergarten. Children already enrolled in the Charnwood-Dunlop Preschool who wish to continue onto Kindergarten at Charnwood-Dunlop School will not be required to complete another enrolment form. Information sessions are held in Term 4 for parents of preschoolers and parents of prospective Kindergarten students not at our preschool. Orientation programs are conducted in Term 4 at the main school site for the following year's Kindergarten students. The school encourages all new parents to arrange an individual interview with the Principal or Deputy Principal. Parents then have the opportunity to have an individual tour of the school, receive personal and specific answers to your questions and to share relevant information about your child to assist us in meeting individual needs. Applications from NSW residents for kindergarten to year 6 will be processed later in 2017. Our school receives a high number of applications from ACT residents. We will finalise processing of these applications before we consider NSW applications; this may be as late as Term 4 2017. If you have any queries about this process please call the ACT Education Directorate on 6205 5429.